Mauricio Pochettino is the current manager at Spurs after being appointed in May 2014. Before starting his managerial career in 2009, Pochettino played as a centre-back for the likes of Espanyol, PSG, and Bordeaux – as well as earning 20 caps for Argentina. He spent 18 years as a professional footballer, kicking off his career with local Argentinian team Newell’s Old Boys. He secured a league title with the club in 1991. Pochettino then moved to Spain in ’94 and joined La Liga’s Espanyol. In his last season at the club, he contributed to the Espanyol side that won the Copa del Rey in 2000. By this time Mauricio had developed a reputation around Europe as a tough-tackling and no-nonsense defender. In 2001, he moved to PSG as a regular starter for three successful seasons, before transferring to Bordeaux in 2003. Playing just half a season for Bordeaux, Poch returned to Espanyol on loan where he would eventually see out the rest of his footballing days. It is only fitting that Mauricio Pochettino began his managerial career with the same outfit in 2009, building up a reputation around Europe for a particularly attack-minded style of play. Pochettino then came to the Premier League in 2013 as he was appointed First Team Manager for Southampton. Mauricio’s popularity grew strong in England as he led Southampton to 8th position at the end of the 2013-14 Premier League campaign: their highest ever finish. Pochettino joined Tottenham Hotspur after managing the Saints and made a similar, and immediate, impact. Spurs finished 5th in the Premier League and reached the League Cup Final upon his first season in charge. 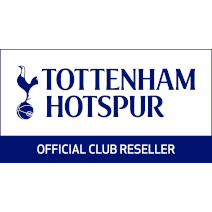 In the following 2015-16 campaign, Spurs finished 3rd in a very successful season for the club and a year after, in the 2016-17 campaign, the skills of Pochettino really shone through as he guided Spurs to a 2nd place finish, which was the club’s best league finish since 1963. Pochettino has a particular skill for nurturing youth players; under his management, we have seen the likes of Harry Kane, Dele Alli and Eric Dier shoot to stardom. He is also a manager that gets the best out of his players, as we have seen in the beginning of the 2018/19 season with Erik Lamela and Lucas Moura. In May 2018 Pochettino signed a new five-year contract to keep him at the club until 2023. Jesús Pérez is currently the Assistant Manager at Spurs and is second-in-command to Mauricio Pochettino. Like the rest of Mauricio’s coaching staff, Jesús Pérez forged a partnership with him whilst working at Espanyol and subsequently followed him to Southampton, and now Tottenham Hotspur. Unlike the rest of the Spurs coaching staff, Pérez didn’t pursue a professional footballing career. He started off coaching in his native country of Spain. He had spells at a whole host of Spanish clubs, namely: Gimnàstic de Tarragona, CD Castellon, Real Murcia, Pontevedra CF, Rayo Vallecano and UD Almería. After a short period of time as the Fitness Coach for the Saudi Arabian national side in 2005, Jesús Pérez later worked on the training staff for Saudi outfit Al Ittihad for a season. It was in 2010 when Jesús Pérez joined Espanyol and subsequently forged his initial link with Pochettino. He was promoted from the position of first-team analyst to technical coach within a season of his employment under Poch. In 2013, he followed Mauricio to Southampton where he took the role of First Team Assistant. Now, he works as part of a tight-knit coaching staff at Tottenham Hotspur as Assistant Manager. Miguel D’Agostino is currently the First Team Coach at Tottenham Hotspur. He shares both an Argentine heritage and a long association with Manager Pochettino, which is no doubt contributing to the current success at the club. Like Mauricio Pochettino, D’Agostino was a central defender, who began his professional football career in Argentina with Patronato de Paraná. After moving to Newell’s Old Boys in 1990, Miguel D’Agostino found a fiery partnership with Pochettino, which marks the start of an association that still runs true today. Miguel’s career had seen him play in various South American countries. After a minor spell at Gimnasia y Esgrima, D’Agostino signed for LDU de Quito in Ecuador. He then spent one season in Chile with C.D. Palestino before travelling to Spain to play for SD Compostela. After a few seasons of moving around South America, D’Agostino saw out the remainder of his playing career in France. Firstly, he played for Chamois Niortais in Ligue 2 in 2000. After one season he moved to Canet Roussillon FC in the south of France. Miguel then tried his hand at coaching, acting as a player-coach for Angoulê CFC, before becoming the assistant manager for Stade Brestois 29. After 4 years with the French outfit, he spent one year in the United Arab Emirates taking the Assistant Coach role at Dubai CSC. During Pochettino’s time as Head Coach at Espanyol, Miguel D’Agostino had provided some scouting information for him, and he decided to re-join his old partner on a permanent contract in 2011. Since then, the pair have worked side by side: Miguel was Mauricio’s ancillary at Southampton and now they are working together for Spurs. They most certainly seem to have a winning formula for Tottenham Hotspur. Toni Jiménez joined Spurs in 2014 as the First Team Goalkeeping Coach. 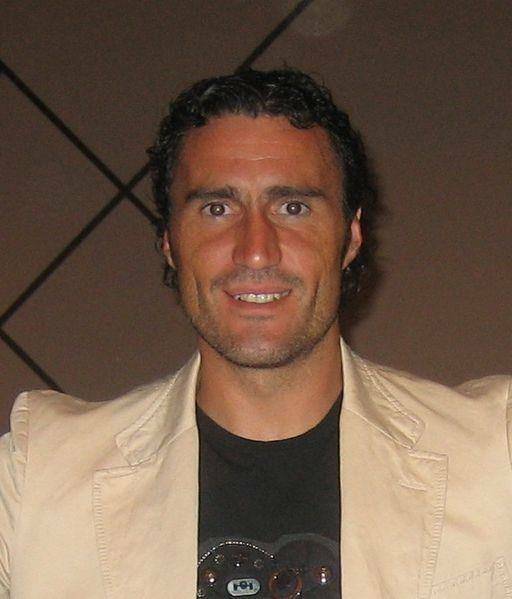 Jiménez, also a former teammate of Pochettino, was both an Olympic gold medallist and the former keeper for Spain making 3 appearances. between 1998 and 1999. Toni began his goalkeeping career in Spain with local team EC Granollers. As a young 18 year old he had a minor spell in Barcelona, playing for their 3rd team. Following this, he made his senior debut with UE Figueres. A significant feat in Jiménez’s career came in 1992 when he was selected for the Spanish Olympic squad. Toni played all six matches and then went on to win the gold medal. Following his international achievement, Jiménez moved up the leagues and signed for Rayo Vallecano. After a brief spell with them, Toni decided to join Espanyol where he would meet Mauricio Pochettino – working as the spine of the Espanyol defence. Jiménez was the first choice keeper at the club, spending six seasons there and totalling 221 appearances in all competitions. Jiménez switched Espanyol for Atletico Madrid in 1992 and stayed there for 2 years. He then spent a brief season at Elche – where he only made 18 appearances – before seeing off his playing career at Espanyol. Toni flickered between jobs as a Goalkeeping Coach and an Assistant Manager for both Girona FC and his old outfit EC Granollers before returning, yet again, to Espanyol in 2011. As a key figure in Mauricio Pochettino’s coaching team, Jiménez followed Poch to Southampton and now leads the goalkeeping sessions at Tottenham Hotspur working with Hugo Lloris, Michel Vorm and Paulo Gazzaniga.